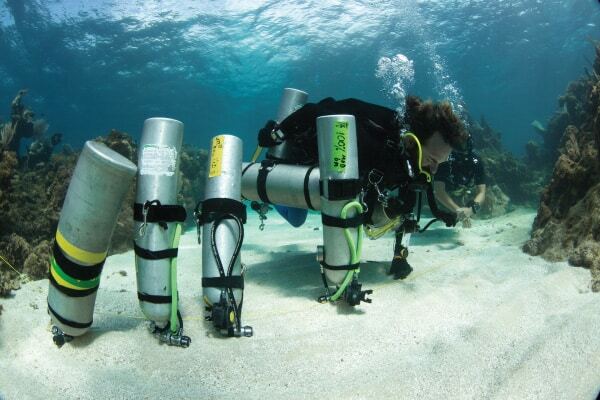 The Tec Trimix 65 course introduces you to using trimix down to a maximum depth of 65 metres/210 feet. There are advantages to using three gases, but you need to know how to do it right. 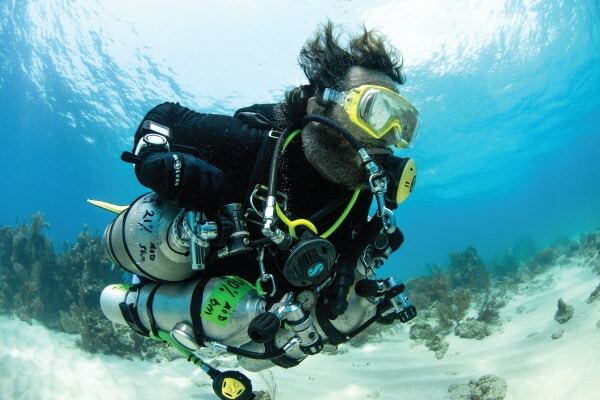 Earning the Tec Trimix 65 certification makes deeper exploration a reality. 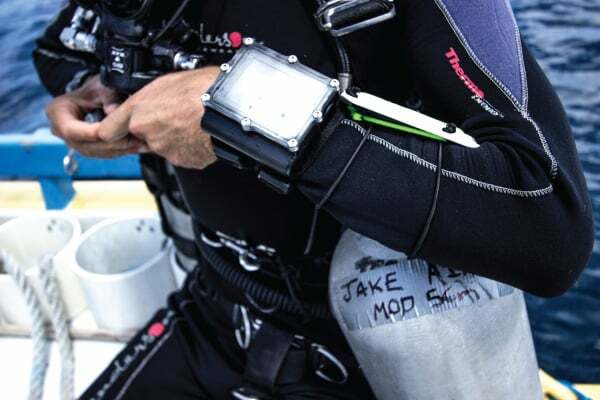 Dive planning and the use of up to date decompression software to plan your deco dives. Practical sessions were you learn different styles technical diving gear and how it all goes together. One confined water training session where you run simulations and master skills before utilizing them on decompression dives. 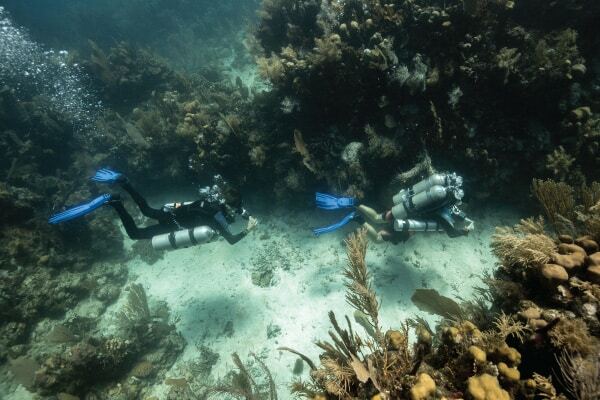 Three Open Water decompression dives at some of the deeper sites in utila not many people get to explore. 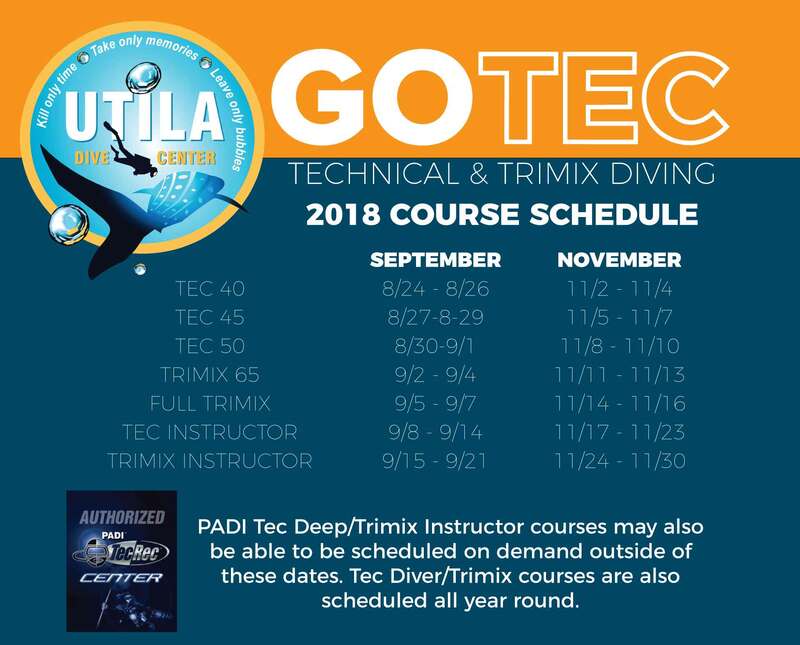 Do you have questions about the TRIMIX 65 course? During the course, you’ll make dives as deep as 90 metres/300 feet, but once you earn this tough certification, there are few limits. Your training teaches you to build experience gradually and you do it because you’ve made it this far and have more exploring to do. Confined water training sessions where you will master a whole new skill set to take you beyond recreational depth limits safely. Five decompression dives at Utila’s Deepest Dive Sites where no one else on the island can reach! 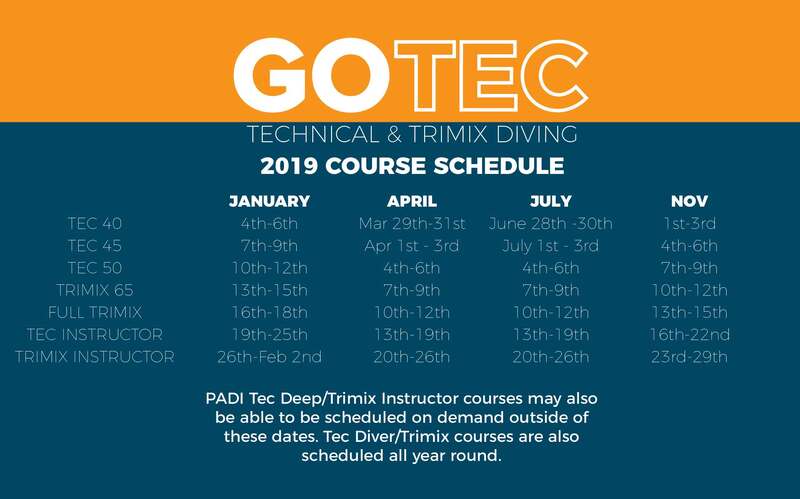 Do you have questions about the Trimix course?